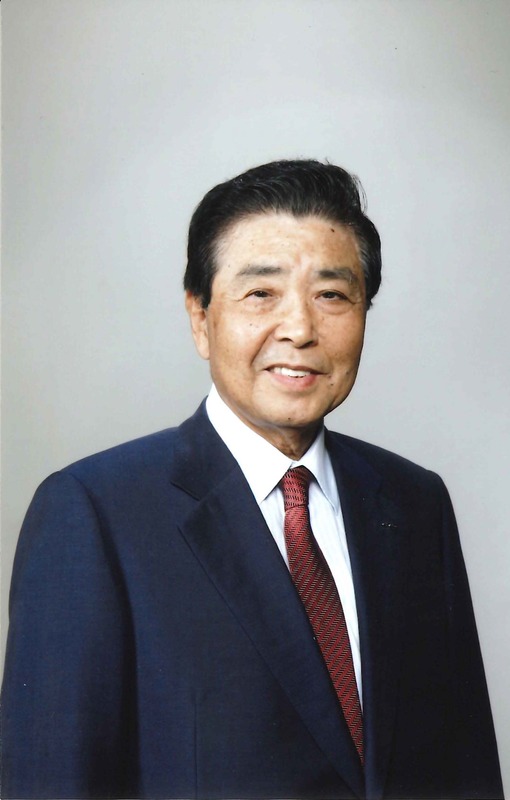 1957 Graduated from Faculty of Law, University of Tokyo. Entered Ministry of Finance; served successively as Chief, Director-General’s Secretariat, Economic Planning Agency; Deputy Vice Minister of Finance; Director-General, Budget Bureau, Ministry of Finance; Administrative Vice Minister of Finance, etc. 2001 Advisor, Kansai Electric Power Co., Inc.
2004 External Auditor, Shiseido Co., Ltd.
Our foundation was launched in September 2013. Two months before that, a grand opening party was held at the Hotel Okura on July 14, and I was also invited. Based on the record in my notebook, five days before that, on July 9, Mr. Koichi Hashida (Director, National Congress of Industrial Heritage; Director and Counselor, Kyudenko Corporation) brought Ms. Koko Kato (Managing Director, National Congress of Industrial Heritage) to a study meeting in which I was participating, and introduced her to the people who were there. This study meeting was a private meeting arranged by Mr.
Takashi Imai (Chairman Emeritus, National Congress of Industrial Heritage; President, Industry Club of Japan) and other volunteers from the business community. They were engaged in activities toward having Japan’s industrial heritage sites listed as UNESCO World Heritage sites and working to gain everyone’s support. That was the first time I heard the outline of the “Sites of Japan’s Meiji Industrial Revolution” concept in detail. So, that is how I became involved. -- What were your impressions at that time? Hmm. To be honest, I was a bit confused. That is because the appearance greatly differs from that of existing World Heritage sites (laughs). I am no expert in the field, so my limited understanding was that the World Heritage selection was for “single” sites like the pyramids, and they were working to list production facilities leading to the modern era! Many of those facilities are still operating, and there are issues with their future maintenance and repair. I wondered how these could be considered “cultural assets.” Many parties were involved including the national government, local government bodies, and business enterprises. I felt their enthusiasm, but I thought it would not be easy. To tell the truth, those were my impressions. The City Connected to the World: Making the "Treasure of Nagasaki" the "Treasure of the World"
The next generation of technological innovation is born from carrying forward history and culture. - Sites of Japan's Meiji Industrial Revolution open the way to "conserving while using"
Pro-Provost and Chairman of Council of the Royal College of Art. Heritage advisor of Canal & River Trust for England and Wales.